Make your favorite historical society “Flip” today! Old family records. Fading photographs. Newspapers. Rare books. Scraps of paper insignificant to any one else, but super important to those trying to put flesh on the bones of an ancestor. These items and more are often hidden away in historical societies, staffed by volunteers and others dedicated to preserving their town’s records. Getting access to these records is an important part of our genealogical research – so why not make it easier for them with a Flip-Pal mobile scanner? Most historical societies are on a very limited budget, and the Flip-Pal’s nominal price of $149 is out of reach for many. However, think what your favorite historical society could do if they had access to this wonderful little scanner? Imagine all the small little documents and photographs that could be scanned and digitized. Or, how about those LARGE documents that could be “stitched” together? 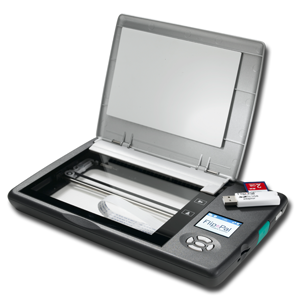 Show your appreciation for your favorite historical society’s work today by donating a Flip-Pal mobile scanner! Don’t have the money? How about working together with your distant cousins to share the cost? I’ll bet you won’t be sorry! You may just find yourself with neat little items in your email inbox like the one shown above that I found in mine! This entry was posted on Monday, April 7th, 2014 at 6:52 PM	and posted in Technology. You can follow any responses to this entry through the RSS 2.0 feed. 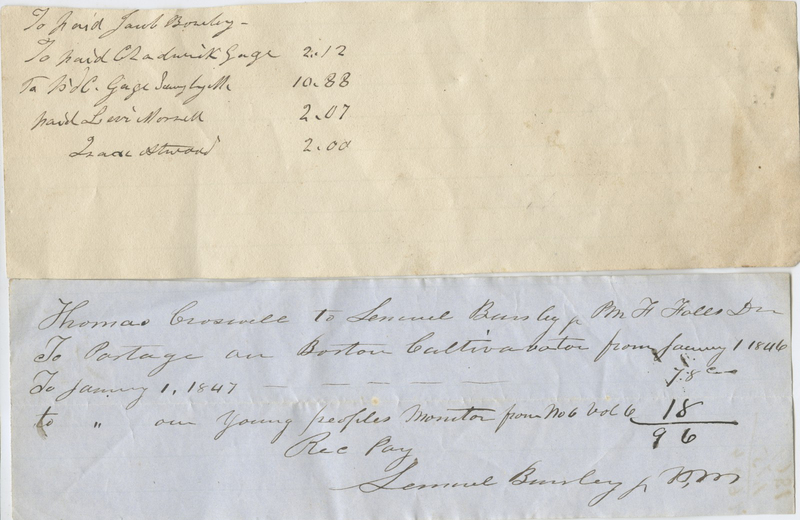 About items hidden away in historical societies – years ago I went to a historical society looking for information on my 2nd-great-grandparents. Their marriage was troubled and had ended in divorce after they had five sons. The youngest son, my great-grandfather, ran away from home, eventually got married and settled in another state. He refused to reveal anything about his childhood to his three sons, so it remained a family mystery. The middle son was my grandfather. But his wife, my great-grandmother, was curious about her husband’s past and wrote a letter inquiring about his parents to the historical society where his parents had lived. Not sure if the society was able to help her or not, and if they did she chose not to share what she may have learned with her sons. When I went to the historical society they had her letter saved in a file of odds and ends for the surname in that town! They let me copy it, but it was such a thrill to hold her letter in my hands and see what her handwriting looked like. Those are the kinds of thrills doing research that I miss so much! Barbara, what a great story. Historical societies are such awesome resources. Sometimes just finding them can be challenging, but when you do, it can be awfully rewarding!